Attending MWC Americas? 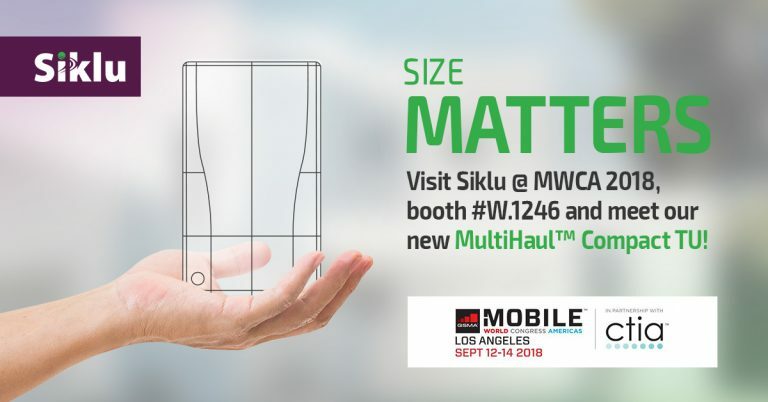 Visit Siklu at booth #W.1246 and learn how to plan & deploy a multi-gigabit mmWave network that goes everywhere, even where your fiber can’t, leaving the smallest footprint behind. New! Siklu is announcing a new member in our PtMP MultiHaul™ product line – MultiHaul™ Compact TU (cTU), the smallest self-aligning mmWave radio available, for low profile, fast and easy installations anywhere. Visit us to get a first glimpse of the smallest mmWave radio in the industry with the same MultiHaul™ range and throughput as the Standard TU at a lower price!